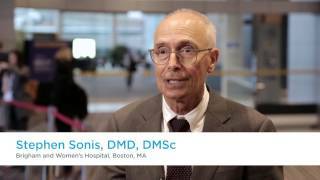 Stephen Sonis, DMD, DMSc of Brigham and Women’s Hospital, Boston, MA discusses costs of cancer care. The cost of new cancer drugs has gone up dramatically and that trend is likely to continue. The opportunity for supportive care is to find an effective way to deal with the incremental costs of toxicities. Prof Sonis mentions the cost-benefit accountability, which is going to be incumbent for third party payers and patients. Recorded at the Multinational Association of Supportive Care in Cancer (MASCC) and International Society of Ocular Oncology (ISOO) 2016 Annual Meeting on Supportive Care in Cancer held in Adelaide, Australia.